Hands create. Hands provide. Hands are sacred. Hands heal. I love hands. Perhaps it’s because I used my hands for countless hours, many years and some decades doing hair. It could be that the practice of yoga deepened my appreciation and gratitude for the blessing of hands. That is why the Hamsa has sent me on a deeper look at hands and the beauty of the endless versions of sacred hands and The Hand of Fatima. 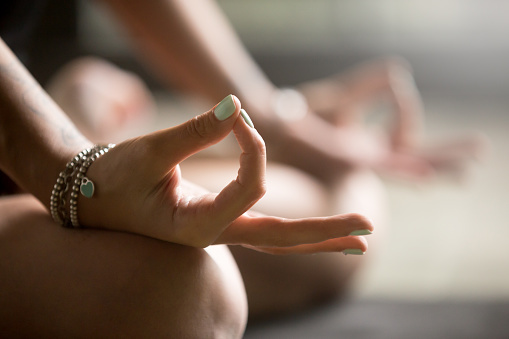 In yoga not only are your hands used to hold certain postures, but there is also an intentional hand placement in the yogic tradition known as mudras. Mudras are specific positions of the hands and fingers to produce particular energies in the body, mind, and spirit. In many cultures and religions hands are significant. In Christianity, it is Jesus’s hands nailed to the cross left me feeling deeply about his plight. As a child, I couldn’t imagine the pain of nails driven through the palms. As an adult, I still cannot bear the thought of it. 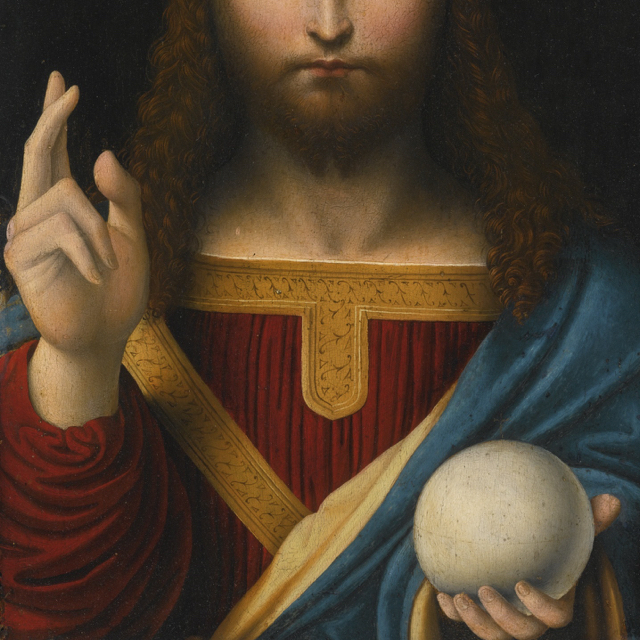 In the above photo, this gesture, in which his first two fingers and his thumb are extended and his third and fourth finger are closed, is among the most frequently occurring of Christ’s hand gestures in Christian art. It emerged as a sign of benediction (or blessing). In Buddhism, the placement of the hands has particular connotations. With Bhumisparsha Mudra, the placement of the right hand is beyond the knee, with the fingers pointing towards the earth, and the palm turned downwards. The left hand rests on the foot with the palm upwards. 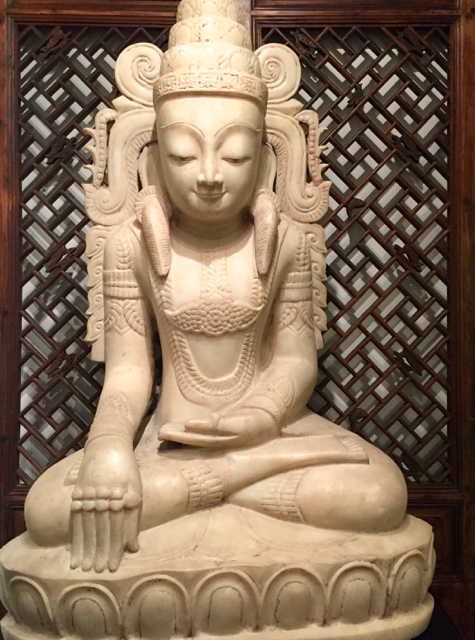 This mudra symbolizes “The Calling of the Earth to Witness the Truth” the Enlightenment of the Buddha. This is one of my favorite photos that I captured while in Thailand. 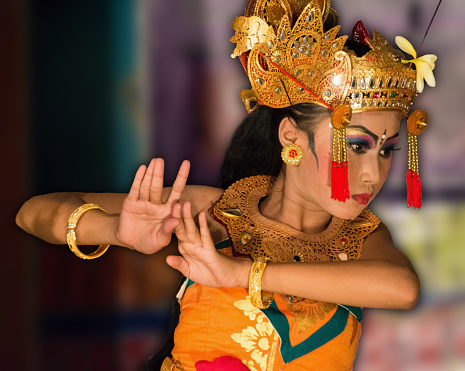 When visiting Bali and Thailand the significance of hand expressions during the traditional dance is mesmerizing. Their ability to isolate the fingers bringing them together and apart while dancing, boggles the mind. In both of these cultures, people bring their hands together in prayer position as a way of greeting and as a sign of humility. There are also many secret hand symbols used by Masons, fraternities, sororities and a host of other secret group and societies. We have all experienced in some way or another, hands being used to make us feel welcomed or very unwelcomed. There are intentional ways to place the fingers that are denigrating, and there is the intentional placement of the hands and fingers that are highly spiritual. Imagine my delight when I discovered the Hamsa, or Hand of Fatima while in Morocco. Another spelling of Hamsa is Khamsah, an Arabic word that means “five”, but also “the five fingers of the hand”. The Hamsa is also variously known as the Hand of Fatima after the daughter of the prophet Muhammad, the Hand of Mary, the Hand of Miriam, and the Hand of the Goddess. 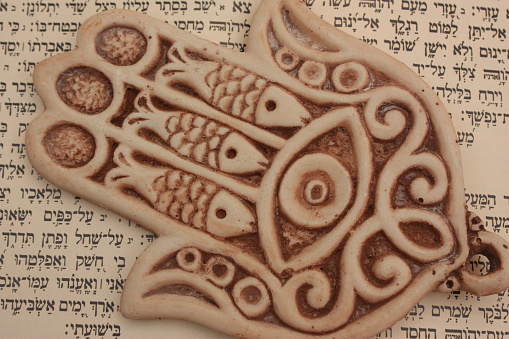 Amongst the Jewish people, the hamsa is a very respected, holy, and common symbol. It is used in the Ketubah, or marriage contracts, as well as items that dress the Torah such as pointers, and the Passover Haggadah. One theory postulates a connection between the Khamsa and the Mano Pantea (or Hand-of-the-All-Goddess), an amulet known to ancient Egyptians as the Two Fingers. In this amulet, the Two Fingers represent Isis (Auset) and Osiris (Ausar), and the thumb represents their child Horus (Heru). It was used to invoke the protective spirits of parents over their child. 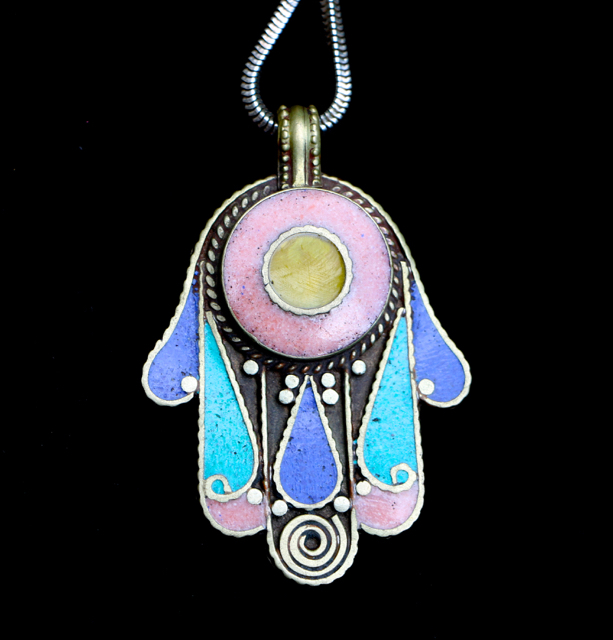 The Hamsa is a palm-shaped amulet said to protect one from the evil eye (jealousy and envy of others). Other symbols of divine protection based around the hand include the Hand-of-Venus (or Aphrodite), the Hand-of-Mary, that was used to protect women from the evil eye and boost fertility and lactation, promote healthy pregnancies and strengthen the weak. You don’t have to take the time to say or think, “Speak to the hand.” The Hand of Fatima speaks for you, deflecting and protecting. Of course, I had seen the Hand of Fatima before visiting Morocco. Within days of arriving home from Morocco, I came across a chime that I’ve had for years that features the Hand of Fatima; I hadn’t picked up on the significance. I had taken it down from the window this spring when removing my winter curtains. I immediately hung it back up and this time place it on my front door. Seeing Hamas in Morocco generated a keen interest for me. First of all the hands seem to be everywhere, in every souk (marketplace) and jewelry stores. Hamsas come in many different styles and designs, including those made of gold, diamonds, and other precious gems. I found many of the designs and the symbol of protection they represent, fascinating. 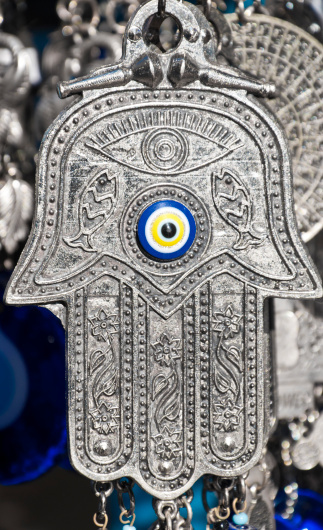 There are all types of symbols carved and designed on Hamsas, the ever watching eye being one of those. 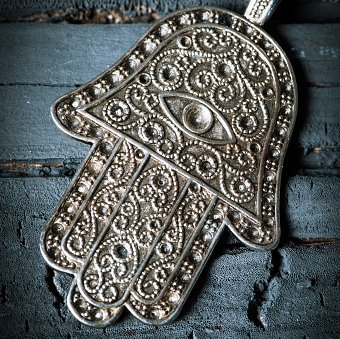 In modern times the Hamsa has come to be a symbol of secularity, and a trendy talisman; a “good luck” charm appearing on necklaces, key chains, postcards, and in advertisements. The Hand of Fatima also reminded me that there are common threads that run through all religions. Some of the Hands of Fatima that I bought in Morocco were designed and created in Tibet. I couldn’t bring back just one Hand of Fatima for myself. I brought back several in hopes that you would feel the beauty and power of these amulets and acquire one for yourself, your home, car, or a loved one. May this beautiful Force be with you! Bravo! As a Muslim, I’ve been wearing and collecting the Hand of Fatima for years. Its calm and protective symbolism is always a quiet comfort when I wear one around my neck or hang one in my home. When adorning myself, I sometimes don two or three of different sizes, complimentary shapes, weights, and designs. Two of my very favorite khamsas came from a trip to Morocco, one of my very favorite locals. So I am delighted to see Anu’s thoughtful account of this special symbol, complete with a fascinating history and several beautiful examples to help us visualize their captivating magic. Thank you, Anu, for always sharing your warmth and enthusiasm for earth’s bounties, and for stimulating our health and healing in the process. Tamu, you naturally know how to make a person’s heart sing. Thank you, for taking the time to read my post and share with me, with us your love of Hamsas, too! I should have known you’d have a collection of these amulets. I’m looking forward to seeing them one day soon. My next visit to Morocco has to be with you. Thank you so much for sharing your experience with us. It just amazing and the explanation of the symbols, religion and hand gesture just moved me! Awww! Then you really felt me and my love for hands and all that they represent. Thank you, Debra! Thanks so much for sharing.They are beautiful just like your awesome aura..
Awww! Thank you, Valerie! I had such a wonderful time picking them out and deciding which ones I would bring back. I am glad you could appreciate their beauty. Blessings!